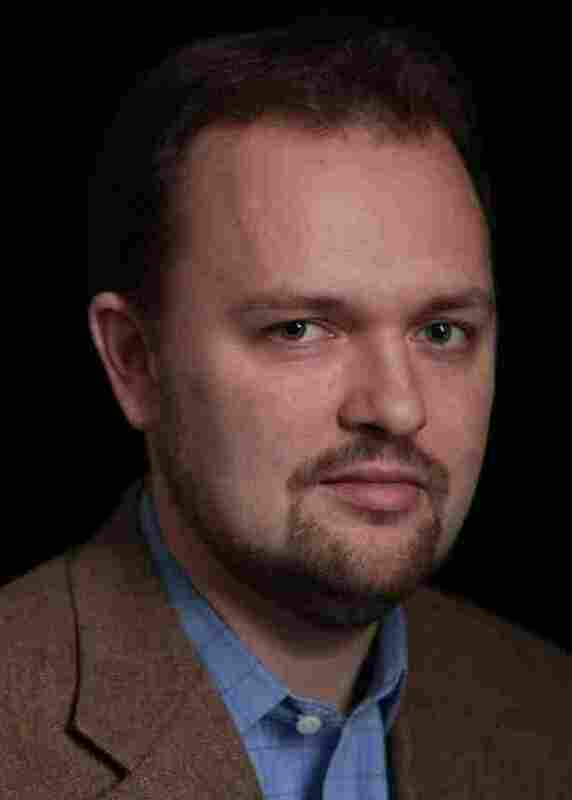 'Heretics': The Crisis Of American Christianity Americans are still as religious as ever, says New York Times columnist Ross Douthat. It's the churches and institutions that have declined. 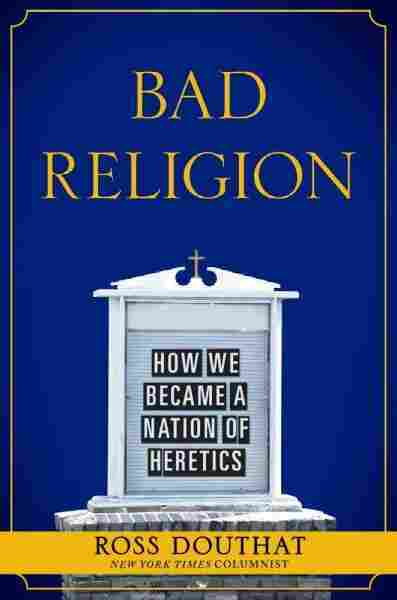 In his latest book, Bad Religion, Douthat argues that the U.S. become a nation of heretics. "Institutional religion in the United States — institutional Christianity in particular — is much, much weaker today than it was 40 years ago. But religion itself is as strong as ever. ... But the eclipse of institutional faith, and the eclipse of what I would say was a kind of a Christian center that the country used to have, has created a landscape where religion divides us much more than it used to." "The heresies that I write about are what flourish in the vacuum that's left by institutional Christianity's decline. So if the country remains religious, but the institutional churches are weaker than they used to be, what steps into the breach?" "I start with the project to basically go back into the gospels of the early church ... and to sort of fashion a Jesus who seems to fit the modern world better than the Jesus of the Nicene Creed. And this project is best embodied by Dan Brown and by The Da Vinci Code. ... Brown himself is very explicit that he has a theological, philosophical message about what direction Christianity — what direction religion — should go in. And that direction is toward this alternative Jesus that he's sketched out, who is ... a much more congenial figure for a lot of Americans than the Jesus of Matthew, Mark, Luke and John." "From there I move toward heresies that are about money, basically, and about the idea that God wants you to get rich. This is the prosperity gospel. It's Joel Osteen. It's the televangelist you see on TV. All of these heresies I talk about speak to aspects of contemporary life, where traditional Christianity rubs up against the way we live now, and people don't like it. ... We're a rich country. We're a capitalist country. We're a country of strivers and go-getters. And the prosperity gospel says that's what God wants. God wants you to be rich. Which is not precisely the message of the New Testament." "From there I move to what I call the god within, which is the heresy of Elizabeth Gilbert, Eat, Pray, Love, of Oprah Winfrey, of Deepak Chopra and Eckhart Tolle. ... It's less that God wants you to be rich and more that God is there to make you feel happy about yourself. And that the point of spiritual wisdom is not necessarily strenuous prayer and fasting and moral transformation. It's more sort of blessing impulses you already have. ... This ends up putting a kind of Christian stamp on narcissism, where the things we already want to do, we tell ourselves, are things that God wants us to do, too. "I don't have sort of a five-point plan for rebuilding Christianity in America. ... The main point that I'm trying to make is that whatever happens to the institutional churches, individual Christians can try to essentially be better Christians, and honor the complications and paradoxes and tensions of this ancient faith a little better, and not just go as quickly to the easy answer." "I'm not without hope. I mean, Christianity is a 2,000-year-old religion. And if you look back across these various crises in Christianity's past, there's again and again been an assumption: Well, the Roman Empire is falling and Christianity will fall with it. Islam is rising, and it's going to just erase Christianity from the map. Charles Darwin has just disproved Christianity, and nobody's ever going to hear from it again. And Christianity has been very resilient."